Last Sunday I baked this Classic Orange Butter Cake. Actually made this to give to someone but ended up the meeting cancelled. So, I gave it to family and friends. I love the orange cake. Love the freshness of orange. 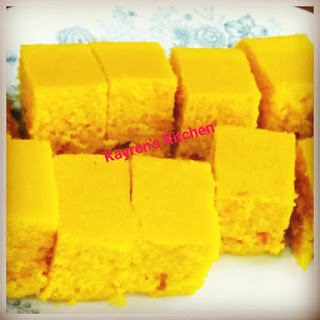 The citrus taste is so yummy..
Planning to bake this again this weekend. Feel like want to eat it more and more.